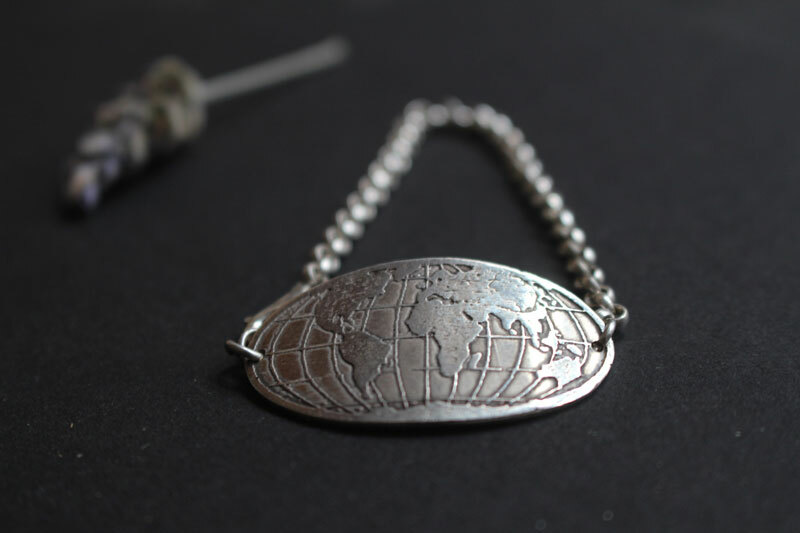 Roots remind us that wherever you can be in the world, there is a place somewhere on the earth you can call home, a place where your roots are deeply attached. This place reminds us happy memories with people dear to our hearts. 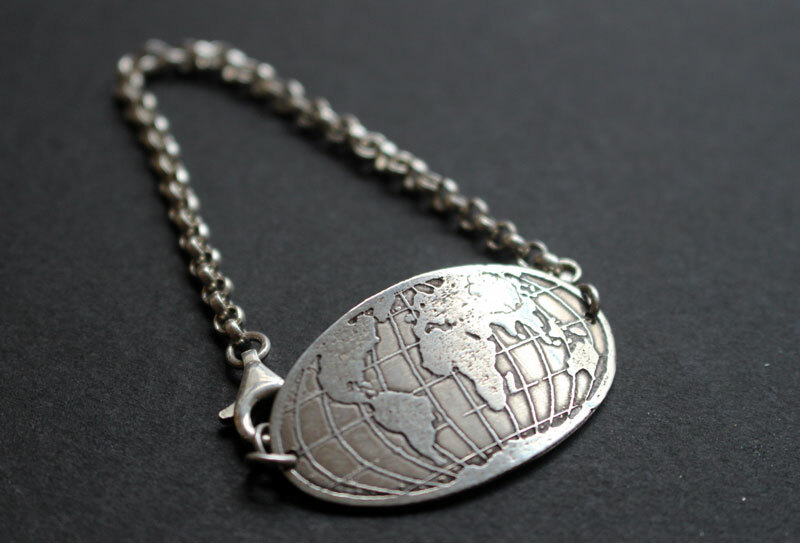 This original bracelet made of sterling silver is engraved with a world map representing the 7 continents. 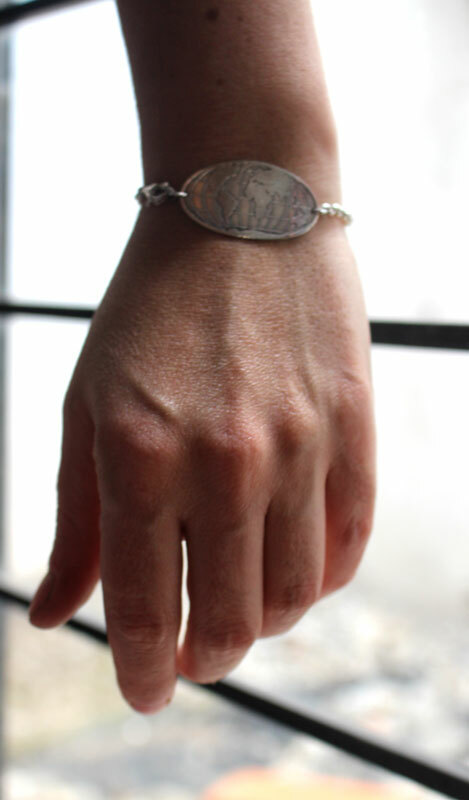 It will be adjusted to the length of your wrist plus one inch. 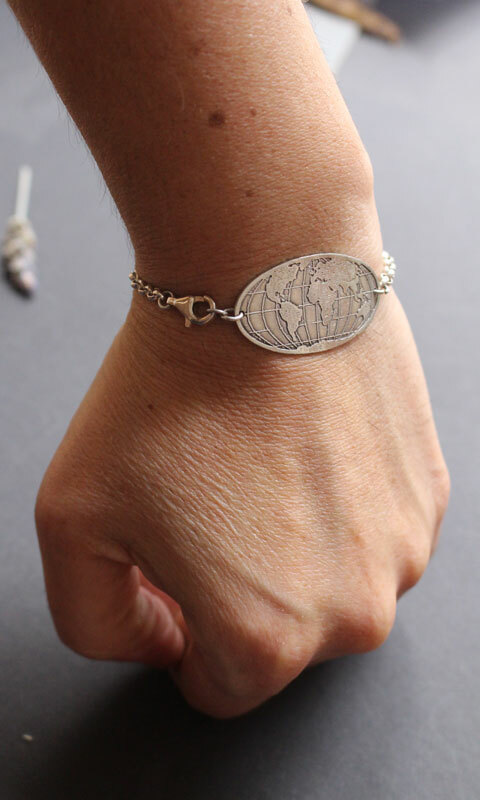 Length: personalized to your wrist until 20 cm total length of the bracelet. 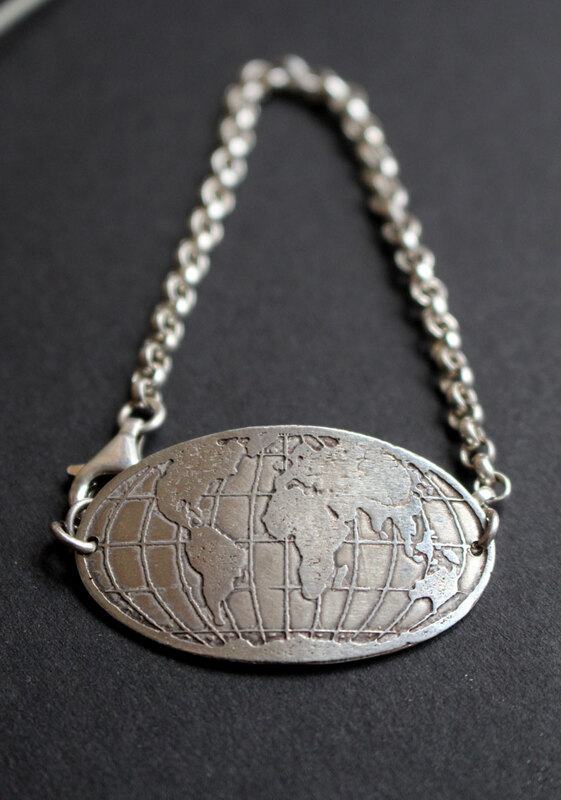 Thanks for giving me your exact wrist size in order to adjust the chain to your measurement. 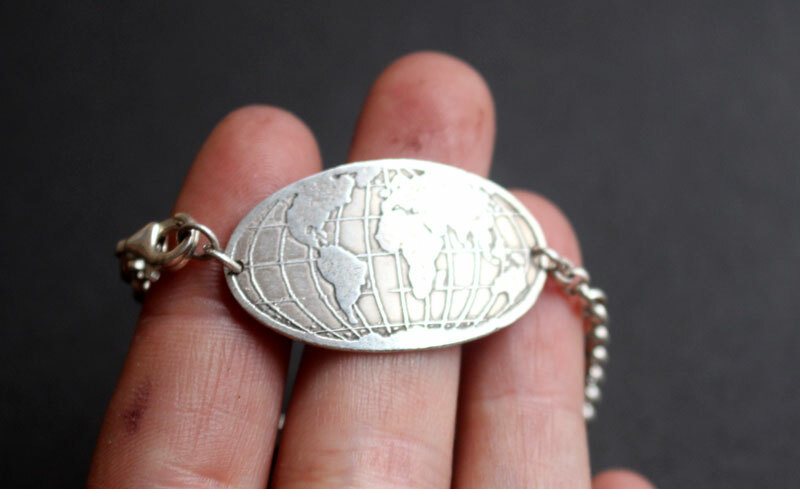 Tag: bracelet, sterling silver, world map, globe, world, jewel, geography, gift, traveler, adventure, craftsman, map, engraved bracelet, etched bracelet, departure, tour, discovery, adventurer, travel, passion, earth, root, souvenir, continent, encounter, engraving, worldmap.